Operating Procedure Synthesis (OPS) has been used to produce operating procedures for chemical plants. However, the application of AI planning to this domain has rarely been considered, and when it has the scope of the system used has limited it to solving ‘toy’ problems. 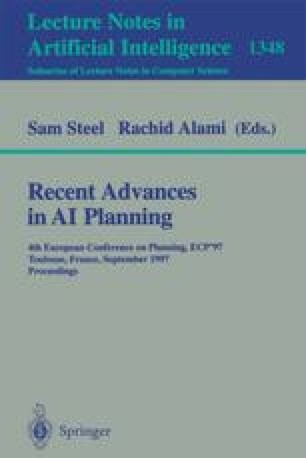 This paper describes a case study for the INTergrating OPerability (INT-OP) project at Salford and Loughborough that used a state-of-the-art least commitment planner with ‘goals of prevention’, called CEP (Chemical Engineering Planner), to produce procedures for a real-world chemical plant. A double effect evaporator test rig is the domain for the case study. The development of the domain is discussed. Particular attention is paid to the domain modelling, which involved the description of the domain, development of operators/ safety restrictions, and the definition of the problem. There is then a presentation of the results, the lessons learned and the problems that remain.